This sturdy box and file will compact a lifetime of work in one condensed system. Make storing quick & easy with no fuss! On the right hand side. 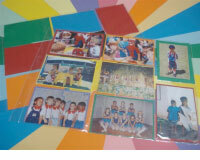 Paste large professional photos on the black coated photo display surface. Watch how your child matures from year to year. 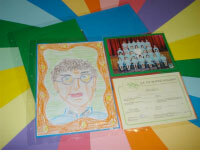 On the front of each envelope show off professional school photos (portrait & class photos). Look through achievements in chronological order. 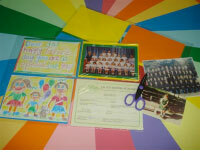 Simply flick open the file mechanism and in between each double page then add a variety of plastic sleeves. 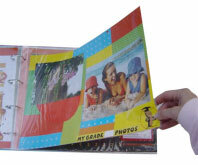 Slide a plastic page protector over each page to safeguard photos and pages alike. Further make each colourful year stand out even more clearly with these hard wearing stickers. 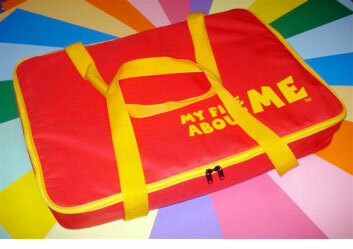 Can be custom made for different school curriculums. 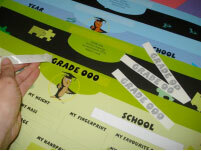 Available in Nursery, Junior and Senior School Categories. Protect the box, file and valuable contents from any bumps and bruises. The overall presentation is truly beautiful. 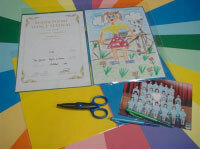 Will make you proud as your child captures treasured moments. 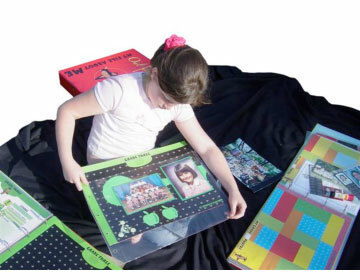 Displays ALL memories, moments & valuables in ONE safe place for LIFE! Ensures absolute lifelong preservation with its thick, strong, durable and reinforced features. 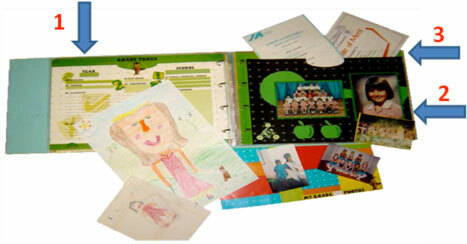 Records and displays ALL information from pre-birth to adulthood in ONE effective system. Saves you space as it flattens, compresses and condenses EVERYTHING into a smaller space. 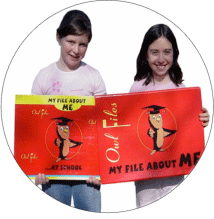 Is quick and easy for every child to interact with and be immensley proud of.